In the United States, Patriot Day occurs on September 11 of each year in memory of the people killed in the September 11 attacks of 2001. A bill to make September 11 a national day of mourning was introduced in the U.S. House on October 25, 2001, by Rep. Vito Fossella (R-NY) with 22 co-sponsors, among them 11 Democrats and 11 Republicans. The bill requested that the President designate September 11 of each year as Patriot Day. Joint Resolution 71 passed the House by a vote of 407–0, with 25 members not voting. The bill passed the Senate unanimously on November 30. President Bush signed the resolution into law on December 18 as Pub.L. 107–89. On September 4, 2002, President Bush used the authority of the resolution to proclaim September 11, 2002, as the first Patriot Day. 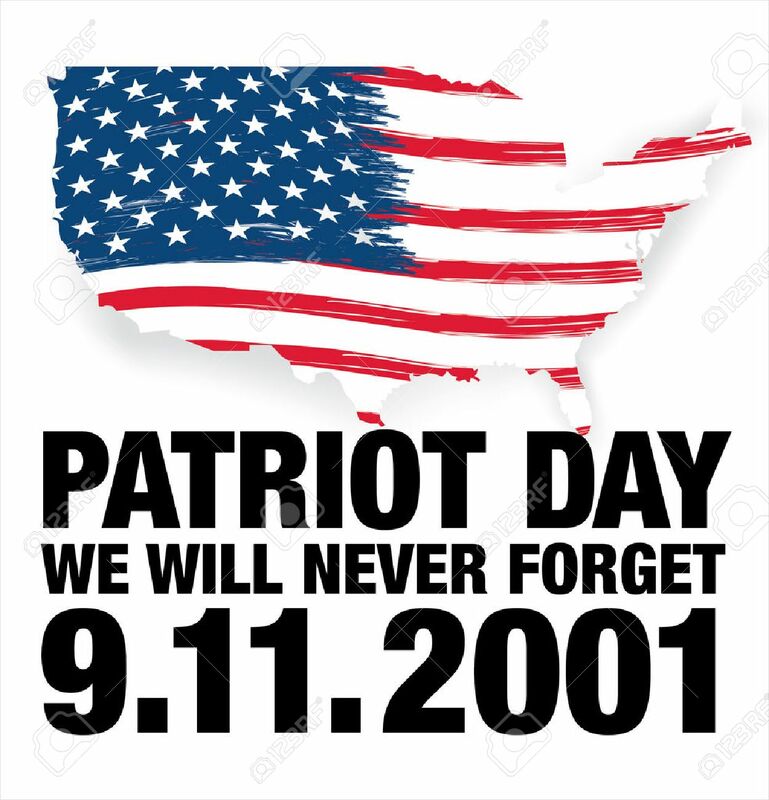 From 2009 to 2016, President Barack Obama proclaimed September 11 as Patriot Day and National Day of Service and Remembrance, in observance of Pub.L. 111–13, the Edward M. Kennedy Serve America Act. In 2017, President Donald Trump proclaimed September 8–10 as National Days of Prayer and Remembrance, and proclaimed September 11 as Patriot Day. The flag of the United States is flown at half-staff at the White House and on all U.S. government buildings and establishments throughout the world; flags are also encouraged to be displayed on individual American homes. Additionally, a moment of silence is observed to correspond with the attacks, beginning at 8:46 a.m. (Eastern Daylight Time), the time the first plane, American Airlines Flight 11, struck the North Tower of the World Trade Center on September 11, 2001.